It’s 6,000 miles from Cape Town to London, but the distance which Pumeza Matshikiza has travelled can’t be measured in mere geography. To be brought up in the townships of South Africa and then to make the giant leap into a professional operatic career and a major label recording contract, despite having had a minimum of formal music training while she was growing up, is an awesome feat indeed. Her first exposure to opera was by hearing it on the radio, and she’d also visit the public library with a school friend and borrow opera LPs to listen to. One of the first names she became aware of was the Swiss soprano Edith Mathis, who she heard singing Susanna in Mozart’s The Marriage of Figaro. 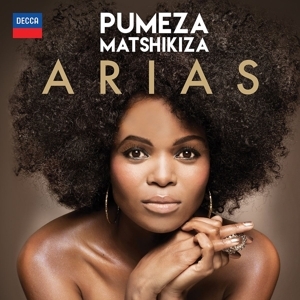 Today, as she prepares her first solo album for Decca, Pumeza is a regular performer with Stuttgart Opera, and can look back on the variety of professional roles she has sung after graduating from London’s Royal College of Music, but her past remains vivid to her. She remembers living in her father’s family house in the Eastern Cape, then after her parents split up she moved with her mother to the Cape Town area.